KUMAK is arranging a 3 hour interactive seminar to rekindle a sense of tolerance that is much needed in these times. Where you will be able to meet inspiring speakers from diverse backgrounds such as performing arts, literature, social work, education and politics who will be sharing their expertise and experiences on the need of a tolerant society. Participants will be encouraged to recognize themselves, explore their abilities and find answers to the questions bothering them through discussions conveying the core essence of patients and tolerance. 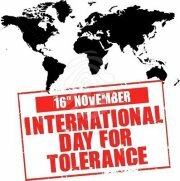 The international day of tolerance is an annual observance declared by UNESCO in 1995 to generate public awareness of the dangers of intolerance. For a group of 5 registrations, one seat will be free. This isn’t a seminar where you will just listen, here you will be listened to & get answers from people who inspire you!!! hurry up limited seats !! !